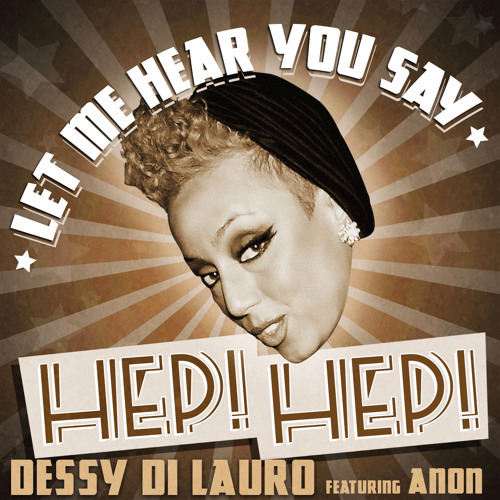 Singer-songwriter, neo-ragtime vocalist Dessy Di Lauro announces the release of “Let Me Hear You Say Hep Hep.” The track is the latest single from her forthcoming EP that’s slated for release in August 2015. Creating a sound inspired by jazz pioneers, Duke Ellington and Cab Calloway, Di Lauro uses the musical language of the Harlem Renaissance era fused with today’s urban beats, contemporary sounds and catchy R&B hooks. ‘Let Me Hear You Say Hep Hep’ follows their neo-ragtime signature with Pageot’s syncopated stride-piano over funky tight production while Di Lauro swings her soulful melodies and catchy RnB hooks. 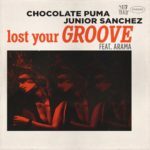 This new anthem is about people expressing their ”joie de vivre” and letting go of all inhibitions. It’s about feeling good and being happy in the moment and sharing positive energy and having a good time, celebrating life with friend’s and strangers alike. Upon returning to her native town, Montreal, from a long-standing residency with Cirque du Soleil in the United States, Di Lauro met her now producer/husband Ric’key Pageot (touring keyboardist to Madonna and co-writer for Jill Scott and Earth Wind & Fire). 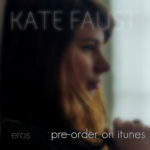 As writing partners, they created original songs for her soulful, latin-tinged debut EP, A Study Of A Woman’s Soul released in 2004. The Di Lauro/Pageot couple later moved to Los Angeles, where they curated their “neo-ragtime” sound in the L.A. club scene with notable residencies in the Santa Monica and Hollywood circuits. As a result, the release of Dessy’s first full length album, This Is Neo-Ragtime (2013) was inspired. Di Lauro’s forthcoming five-track EP is a continuation of her 2013 record recreating the dynamics and energy of her live shows. With critical acclaim from several tastemakers in the blogosphere, Okayplayer raves of Di Lauro’s “…New take on [ragtime] music that has been around since the early 1900s.”AFROPUNK praises the vocalist’s “…Blend [of] hip-hop, soul, RnB, and ragtime into a sound and style that looks back on the last 100 years of black culture while simultaneously looking forward.”Music Connection Magazine remarks Di Lauro as one of 2014’s “Hot 100 Live Unsigned Artists.” LA Weekly states, “Di Lauro’s honeyed vocals wind sinuously through a merry jumble of speakeasy-era stride piano and sophisticatedly modern R&B arrangements. Her original songs are smart, sassy and sensual, layered with funky horn retorts and jazzy harmonies.”December 2014 Di Lauro and Pageot premiered their self-produced stage-production show, ”The Jamboree starring Dessy Di Lauro” at The Cosmopolitan of Las Vegas inside the Rose. Rabbit. Lie. ballroom with a series of shows leading up to New Year’s Eve. Di Lauro’s next show will be in New York City for the annual Blue Note Jazz Festival on Friday June 5th at The Blue Note Jazz Club. Tickets are available HERE. Di Lauro is also planning a North American tour this fall. Follow her on social media for more announcements in 2015! 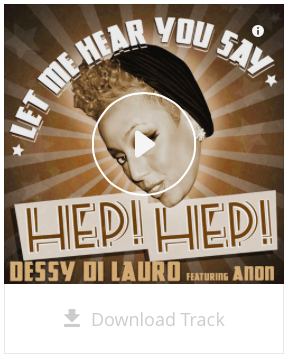 To celebrate the release of her new single, Di Lauro is giving everyone a free download of ‘Let Me Hear You Say Hep Hep’ only available HERE until Tuesday evening 11:50 pm PST.